Call us if you need immediate assistance or to let us know you are on the way. The emergency veterinarians at MarQueen are among the best in California. When you and your dog or cat arrive, your dog or cat is immediately triaged by our team of emergency room doctors and trained licensed veterinary technicians. We provide after-hours dog or cat emergency care every day from 8am to midnight and 24-hour vet care with an emergency veterinarian on staff 24 hours a day, 365 days a year. We work alongside your regular veterinarian to assure your dog or cat receives the comprehensive medical support they deserve. Dog or cat trauma in Roseville is categorized as any traumatic situation, such as if your dog or cat is hit by a car or injured due to a fall. Fights with other animals are another type of trauma commonly experienced among dogs or cats. There are two types of trauma including blunt trauma and penetrating drama. Blunt drama involves being hit by another object, such as a stick or a car. However, with blunt trauma there is no penetrating injury either due to bone fractures or open wounds. 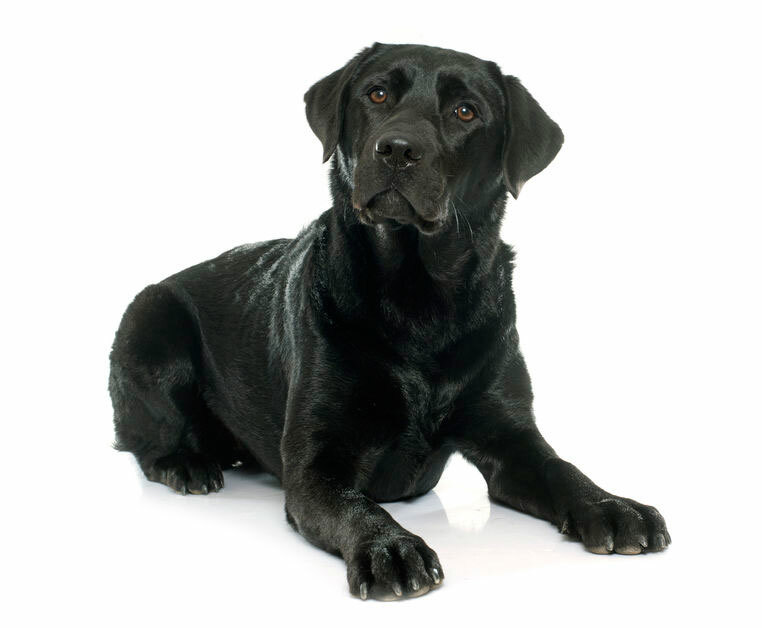 Penetrating trauma, on the other hand, happens when your dog or cat is injured by something penetrating their skin. This could be a bullet, bone fracture, or bite wound. When the skin is opened in this way it can lead to infection and loss of blood, both of which are detrimental to the animal’s health. If your dog or cat is suffering from trauma of any kind you want to seek medical care at a Roseville emergency animal hospital immediately. While you are most likely to note a blunt or penetrating trauma, there are two other types of dog or cat trauma in Roseville that you need to be aware of. These include abdominal or thoracic trauma, as well as head or spinal injury. If your dog or cat has suffered from blunt trauma, most commonly getting hit by a car, they are most likely to also have suffered from internal trauma. The problem for dog or cat owners is that it is highly unlikely that you will notice internal trauma until it’s too late. With thoracic trauma, we can see bruised lungs, fractured ribs, or internal bleeding in the chest. With abdominal trauma, we can see bleeding from or damage to vital organs. The best way to identify these types of internal trauma is through a medical examination by your emergency animal hospital in Roseville. If your dog or cat is suffering from trauma of any kind you want to seek help from your Roseville dog or cat emergency experts. Here at MarQueenEmergency & Specialty our veterinarians are trained in emergency care for animals. For treatment of emergency situations due to trauma, contact our clinic at 916-757- 6600. We always have an emergency veterinarian on staff 24 hours a day, 365 days a year, for your dog or cat, waiting to assist you. In addition to dog or cat trauma services, our veterinarians also provide dog or cat surgery, medical treatments, and rehabilitation. 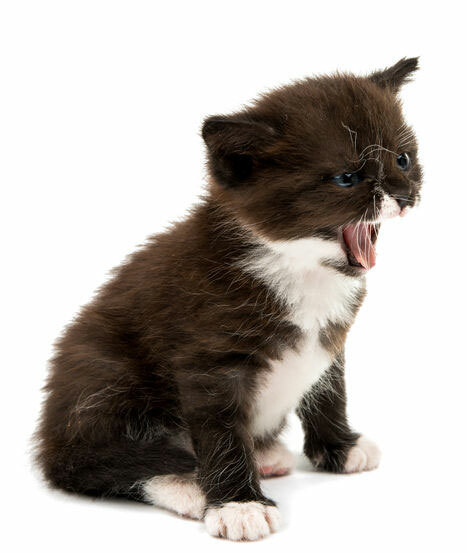 Here in Roseville, vomiting and diarrhea are two of the top reasons we see dogs and cats here at Marqueen Emergency & Specialty. While vomiting can be associated with emptying the stomach of unwanted material, it can also be a sign of something more serious. When your dog or cat is vomiting you want to take note of some characteristics. Jot down information concerning the frequency, appearance, severity, and presence of other signs during the vomiting episode. This information can be useful for the emergency veterinarian in diagnosing and treating your dog or cat. Your dog or cat might have an infection, parasite, ulcer, cancer, or an allergic or inflammatory reaction. In these situations you want to get medical care for your dog or cat. If your dog or cat has ingested poison or is suffering an allergic reaction that is causing them to vomit, seek immediate help at your Roseville dog or cat emergency clinic. While dog or cat diarrhea in Roseville is common, it is never normal. In fact, if your dog or cat has diarrhea this could be caused by an infection, such as distemper or parvovirus, or due to a parasite. Your dog or cat may have a bacterial infection due to Salmonella, or they could have a more serious condition, such as cancer or inflammatory bowel disease. Other reasons for dog or cat diarrhea include swallowing toys or other indigestible objects, or eating a poisonous plant or substance. Also, the color and frequency of your dog or cat’s diarrhea can be a good indicator of what’s ailing them. For example, if the dog or cat has black and tarry diarrhea this is typically caused by bleeding in the GI tract, while gray and greasy diarrhea can be a symptom of a pancreatic, biliary liver issue. If you feel that your dog or cat’s diarrhea is cause for alarm please see a veterinarian at our emergency animal hospital in Roseville. We can test your dog or cat’s diarrhea and diagnose the underlying issue. Our internal medicine service will provide consultation and treatments for more serious medical conditions causing diarrhea. As your Roseville emergency animal hospital we hope we have helped you understand dog or cat vomiting and diarrhea. If your dog or cat is suffering from vomiting or diarrhea and you need to seek emergency veterinary care, contact MarQueen Emergency & Specialty in Roseville. We have a veterinary doctor available 24/7 to assist you with emergency care. You can reach us at 916-757-6600. Dogs or cats can be poisoned by many of the same substances that imperil humans, as well as others that have no ill effects on their owners whatsoever. As you might expect, household cleaning products, medicines and automotive fluids can be poisonous to your dog or cat — but you might not realize how easy it is for your dog or cat to gain access to these items in your home. That’s why it’s critical to keep any potential poisons behind securely closed doors at all times. Outdoor areas must be monitored carefully as well. Make sure your car isn’t leaking fluids onto the driveway; antifreeze in particular has a sweet taste that attracts dogs or cats. Even your garden may contain plants that can lead to a dog or cat emergency in Roseville. Many owners don’t realize how poisonous their own human foods are to their dogs or cats. To name a few, Coffee and chocolate can both have dangerous stimulating effects on the nervous system, while garlic and onions can both cause potentially fatal anemia. Raisins and grapes can cause not only severe digestive illness but also deadly renal failure. If you believe that your dog or cat has been poisoned, it’s important to know what to do — and what not to do. First of all, move your dog or cat away from the substance in question, but retain a sample of it for our emergency animal hospital in Roseville. Don’t try to make your dog or cat vomit or give them any kind of home remedy without a veterinarian’s advice. Call our Roseville emergency animal hospital so we can issue any urgent instructions and prepare to receive your dog or cat. Our Roseville dog or cat emergency team will immediately work to stabilize your dog or cat’s condition, then administer antidotes, emetic agents, absorbent substances such as activated charcoal or any other necessary measures to save your dog or cat’s life. MarQueen Dog or Cat Emergency & Specialty is available 24 hours a day for dogs or cats in Folsom, Fair Oaks, Granite Bay, Auburn, Lincoln and surrounding areas. Call us at 916-757-6600 if you need immediate assistance and/or to let us know you are on your way. Let us know if you will need help getting your dog or cat from the car to the hospital. We are located in the Granite Bay Pavilions at Sierra College and Eureka Blvd. We are centrally located to serve Roseville, Folsom, Rocklin, El Dorado Hills, Fair Oaks, Orangevale, and all the surrounding areas. Upon arrival to our hospital, your dog or cat will be evaluated immediately to ensure that they are stable. Patients in critical condition will be seen by a veterinarian first and will be treated immediately. Our highly-trained patient care personnel will then meet with you to obtain a thorough history about your dog or cat’s condition. The emergency doctor will meet with you. After performing an examination of your dog or cat, the doctor will provide you with diagnostic testing and/or treatment options. While your dog or cat is being treated at our hospital, you will be regularly updated on the status of your dog or cat. Return home with discharge instructions on how to provide continuing care, if needed. Remain in our hospital for 24 hour care by our doctors, specialists, and technicians. Transfer to your regular veterinarian for more treatments and follow-up. The final recommendation will be a collaborative decision between you, your emergency veterinarian, and your family veterinarian. Our emergency team is led by Dr. Deb Morey and Dr. Casey Kohen, who are two of only a few critical care emergency specialists in the California central valley. Our team is exceptionally trained and highly specialized in veterinary critical care and emergency. Simply put – don’t think twice about trusting us with an emergency situation for your dog or cat. Dr. Morey, an emergency and critical care specialist, obtained her DVM from UC Davis in 1992. After graduation, she completed a year-long internship in small animal medicine and surgery at the Sacramento Animal Medical Group. Debbie then moved to Fresno for a year of intensive emergency and critical care experience at the Veterinary Emergency Service before returning to Sacramento to head up the emergency department at the Sacramento Animal Medical Group for the next four years. In 1998, Dr. Morey embarked on a residency training program in Emergency Medicine and Critical Care while also working at several busy emergency practices and raising two children. In 2005, she successfully passed the rigorous examination to become a Diplomate of the American College of Veterinary Emergency and Critical Care. Dr. Morey’s professional interests include shock resuscitation, critical care monitoring, nutrition, wound management, and training veterinarians and technicians in critical care techniques. When off duty, she enjoys spending time with her 2 boys, 2 dogs, and 5 cats. She also enjoys downhill skiing, running, hiking, and wine-tasting. Barbara in 2003. He spent several more years in Santa Barbara after college, working in a 24 hour veterinary emergency and specialty hospital much like MarQueen Pet Emergency and Specialty Group. Dr. Kohen graduated from UC Davis Veterinary School in 2012, finishing at the top of his class and was awarded the UC Davis School of Veterinary School Medal for academic honors. He completed a small animal rotating internship at North Carolina State University where he earned the Outstanding Intern Award. Dr. Kohen returned to UC Davis in 2013 and completed a small animal emergency and critical care residency, and became board certified by the American College of Veterinary Emergency and Critical Care in 2016. Following his residency Dr. Kohen joined the UC Davis Small Animal Emergency and Critical Care Service as an Associate Veterinarian where he trained veterinary students as well as emergency interns and residents. He has also been with MarQueen 24 hour veterinary hospital and specialty group since 2015 as one of MarQueen’s board certified critical-care and emergency specialists. Dr. Kohen has spoken at veterinary continuing education events both in Northern California and nationally, and enjoys helping his colleagues in veterinary emergency hospitals as well as general practice. MarQueen is open 24 hours a day for veterinary referral hospitals and Dr. Kohen is one of our specialist on call to assist our emergency doctors as needed. He is also available most days to help our referral veterinarians with any question or potential emergency transfers. Dr. Kohen’s professional interests include fluid therapy, respiratory emergencies, point-of-care ultrasonography, and cardiopulmonary resuscitation. Dr. Kohen also is passionate about providing exceptional patient care to critically ill and injured patients, and has strong interests in supporting emergency veterinarians and technicians to achieve those goals.